I've never been sure if this is a picture I'm going to finish... but I feel like I owe my blog a post. 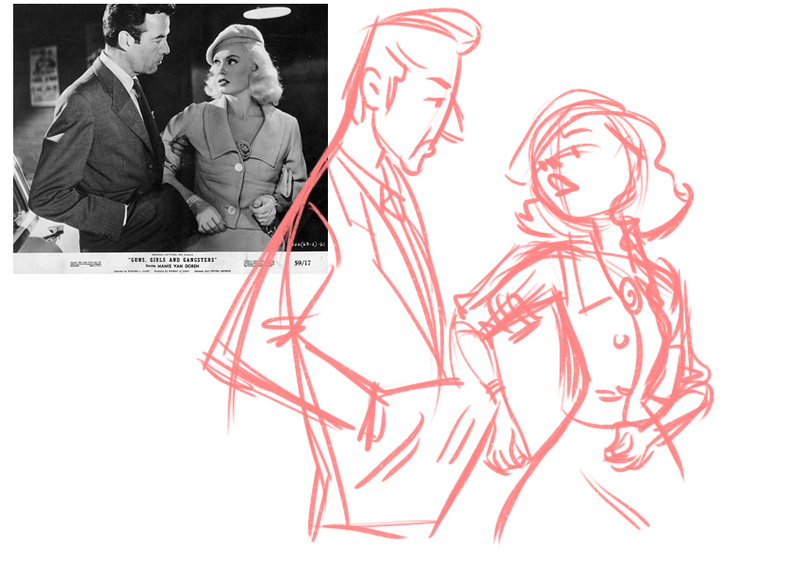 Looking to the classic pinup beauties as per usual - I'd like to actually watch this movie before I finish the drawing. I've included both my sketch and reference image. Enjoy! More finished work will be on the way soon... I've just started a new job, moved to a new city... it's really exciting! It's also not leaving much time for my own art. That said, I am determined to try and get at least one post up each week. That's no gun in his pocket!